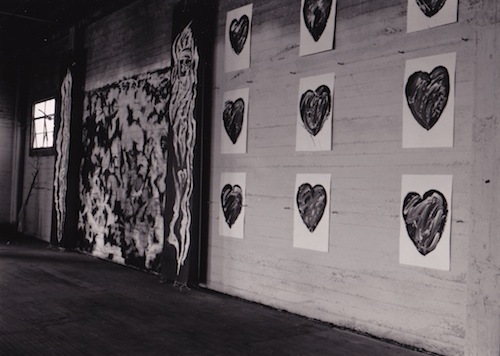 WALL OF HEARTS is an installation that explores the universality of those who have found and lost loved ones. 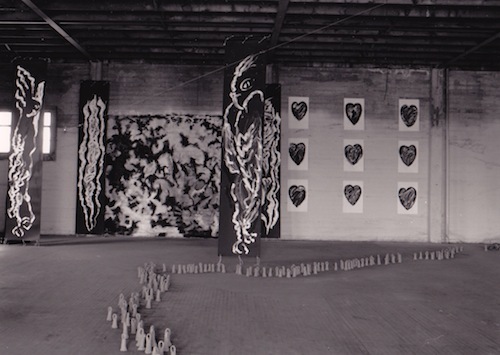 It consists of several painted images of hearts attached to a back wall, suspended painted banners of birds and flamed spirits and a collaborative mural by painter John LaRochelle. This installation invites community members to walk though it and reflect on their own life experience. The alternative space in this exhibit provided several South Bay artists a rough open space through a collaboration co-sponsored by San Jose State University. 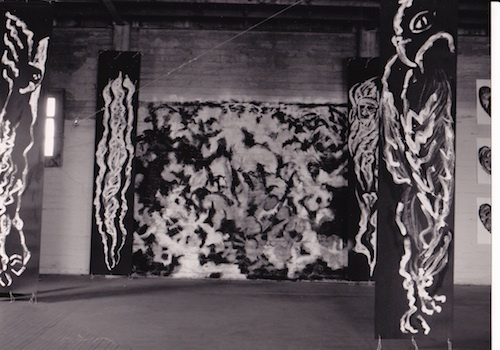 “Exhibit at 4 North First Street, 4th Floor”, 1992, Alternative Temporary Space, San Jose, CA.